As a tenant it is important to understand your rights and responsibilities, being aware of this can assist you if something unexpected was to arise. While rules and regulations vary from state to state, there are some common guidelines. It is first important to understand who is responsible for any damage to a rental property. The tenant or the landlord? As a tenant, you are expected to keep the property clean and tidy and you are generally responsible for carrying out repairs for damage that you might have caused. 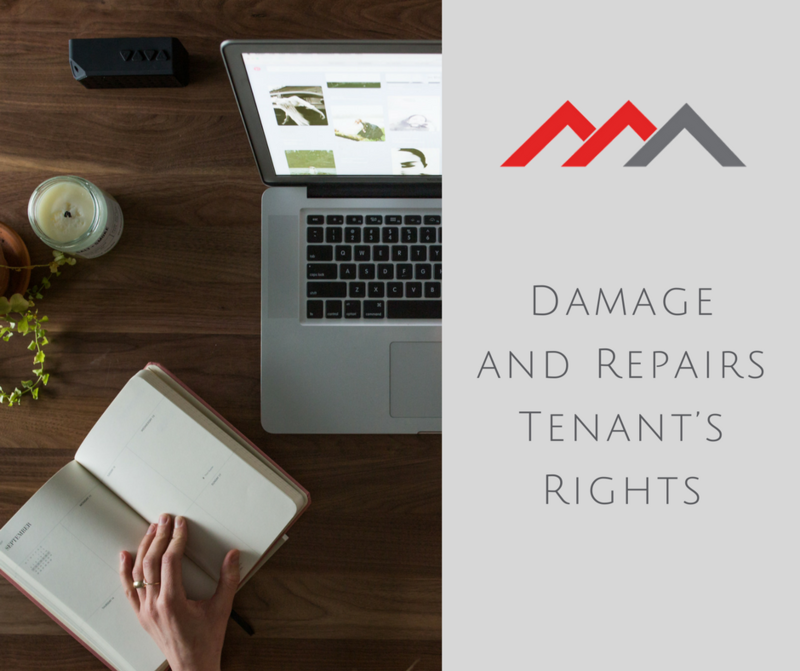 Landlords are responsible for fixing any part of the property that has broken down or fallen into disrepair through age, malfunction or general wear and tear. If you’ve tried to contact your landlord or agent and received no response, don’t stop there. Continue trying to contact them and document this as you go. In most states, refusal by the landlord to maintain the premises in good repair constitutes a breach of contract. If urgent repairs are required to your rental premises, you should initially try to arrange for the landlord or agent to fix the problem. If they cannot be contacted, you may need to go ahead and organise for the repairs yourself. Each state has their own laws regarding specific conditions that qualify as requiring ‘urgent’ repairs. It is always wise to refer to your lease agreement as details about what constitutes an urgent repair should be outlined here and if you're liable to a refund for any out of pocket expenses. If your still having difficulties and you’re unable to resolve an issue with your landlord through negotiation get advice from your local Tenants Advocate or the Department of Fair Trading.